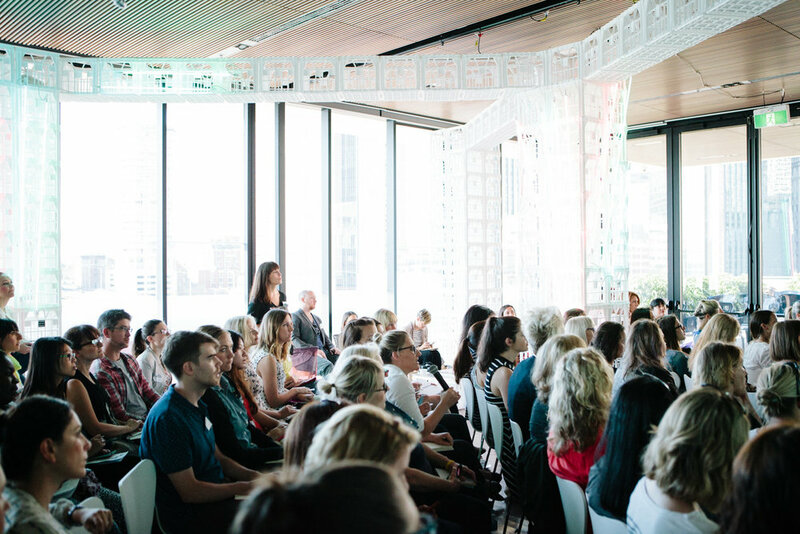 The morning of our Vivid Sydney: Blog Society Retreat event was filled with sunshine and an incredible energy felt by everyone in the room. It was a telltale sign of good things to come and after pouring so much of my heart and soul into planning this blog event, I was so, so pleased with how the workshop turned out and the learning that was shared. I credit that outcome to the attendees that came ready to learn, ask questions and absorb information and to my incredible line-up of speakers and moderators all of whom shared advice and information openly, honestly and doused with wit and humour. We talked about the business of blogging, SEO, working with brands, personal challenges, the highs and lows, the tipping point for making money and doing it for the shear love of connection. We sipped coffee with one of the best views in Sydney, swapped stories, walked away with goodie bags filled to the brim with brands I am proud to collaborate with and took notes until our hands hurt. As with most big events in life, it went by in a blur and we could have stayed their talking and learning for hours - don't worry another event is already in the works for next year! All in all it went down as the event I've been most proud to host and I can't wait to do it all again soon. A humble thank you to all of you who supported the event and got involved - our community wouldn't exist with your shared passion.